WELCOME TO OHIO SHOOTING SPORTS! Feel free to browse our site in order to find out what training programs and everyday carry products we are currently offering. Below you will find a short list of course of that are being offered in the near future. For everyday carry products click on the Ultimate Concealed Carry logo on the right side of this page. For a complete list of what dates our courses are being offered click on our "SCHEDULE" tab. Our Concealed Carry Fundamentals course is a one day, 8+ hour introductory handgun course designed for beginning and experienced students. We offer multiple classes for handguns so we view this as your first step in your formal handgun training. This class meets and exceeds the educational and practical training requirements set forth by Ohio Law to obtain your Ohio Concealed Handgun License (CHL) with your local county Sheriff. We will provide you with all of the information and tools you will need in order to complete this course. We are offering this course on April 20, June 29 & September 14, 2019. ​CLICK HERE TO REGISTER OR FOR MORE INFORMATION. Here is your opportunity to get live one-on-one training from Robert Vogel. We offer private group classes throughout the year. These classes are especially designed for personal or professional groups who don't have time to attend one of our group sessions. We can provide instruction to meet and exceed our standard course curriculum or we can design a custom course to meet your needs. Just let us know what your preferences are and we can design a private custom tailored program for your private or corporate group experience. We are now offering a unique line of total concealment holsters. Concealed Carry has never been this easy. 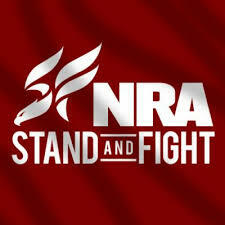 THERE'S NEVER BEEN A MORE IMPORTANT TIME FOR YOU TO JOIN THE NRA. JOIN, RENEW OR ADD A YEAR TODAY AND SAVE $10!